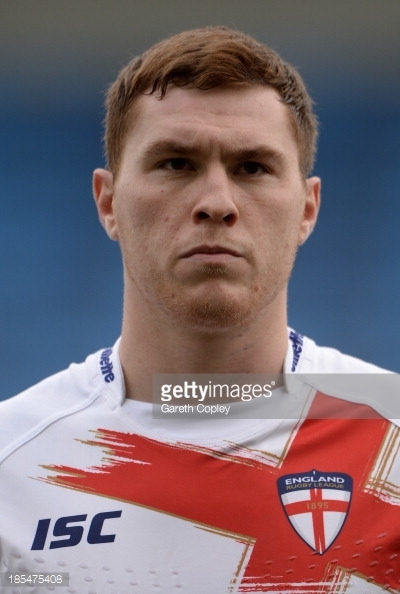 Hull FC ended a long and protracted chase for Hull-Born Scott Taylor when they announced he had signed a four year deal on 19th May. The Prop Forward who grew up supporting the black and white’s actually started his career with bitter cross-city rivals Hull KR then switched Craven Park (now the KC Lightstream Stadium) for the DW Stadium as he signed for Wigan Warriors for a substantial fee at the start of the 2013 season. Taylor was in the Warriors team that beat the Airlie Birds at Wembley in the Challenge Cup Final that year and also picked up a Super League Grand Final winner’s ring as Wigan completed the double in 2013. Taylor missed the Warriors 2014 Grand Final defeat to St. Helens and was sent out on a long term loan to Salford Red Devils this year rather than seeing out the final year of his contract at Wigan. Now the former Hull KR prop is on his way home to Hull to play for the club he has supported all his life. The 24-year-old will be a natural replacement for Tongan prop Mickey Paea who is returning to the NRL having signed for Newcastle Knights at the end of this season.